Set the stage for simple elegance with this finely weathered collection from the heart of Maine. Sun-soaked, rain-washed boards from a 200 year-old barn have been harvested for our Rustic Barn Collection. Every piece of these beautifully weathered, snag-free furnishings is custom-crafted for durability and subtle style. Choose them to reflect the simple grace that only time and nature can create. 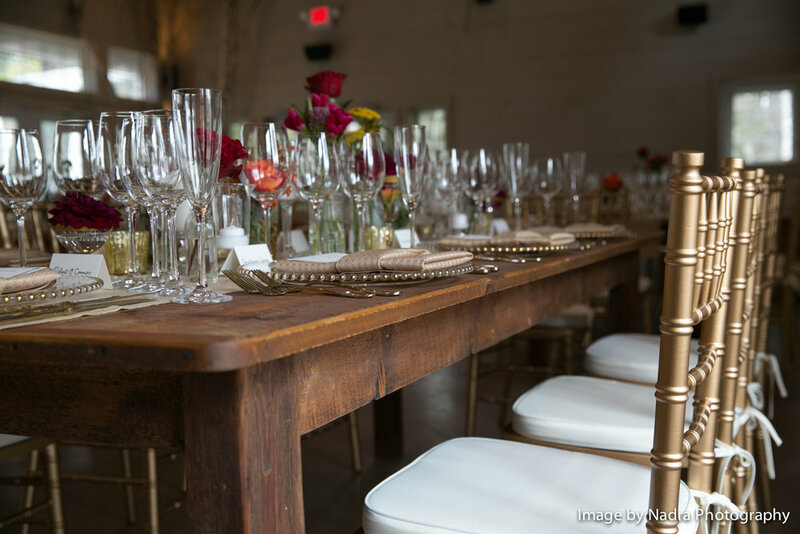 Our Rustic Barn Collection offers a fantastic selection of rental furniture: wood bars, bar hutches, long tables, square tables, dessert tables, barrel tables, seating benches, wedding arbor, and a free-standing chalet outbuilding. Whether you're looking for subtle rustic elegance or an extravagant barn soirée, this rental furniture collection will help make your event extraordinary.